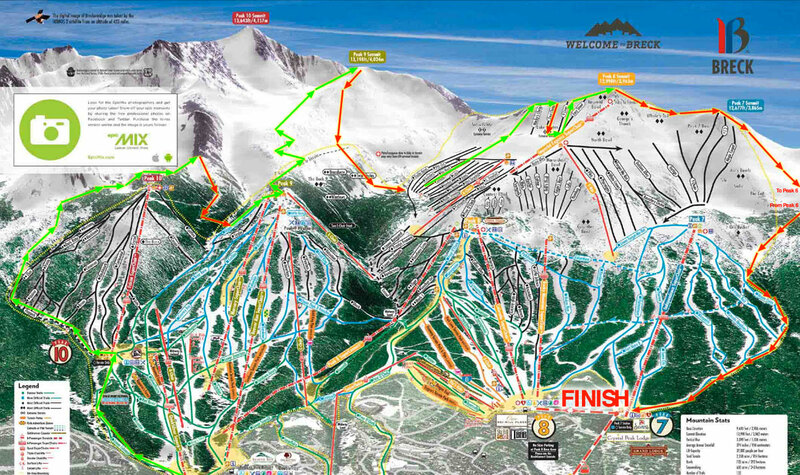 The route was modified a bit due to the weather, but the basic layout is here on the map. The climbs are in light green and the ski descents red, and the new section up and down Peak 6 isn’t even on the map (off to the right). Click to enlarge. Against our better judgement, Christy and I headed to Breckenridge to compete in the Five Peaks race. 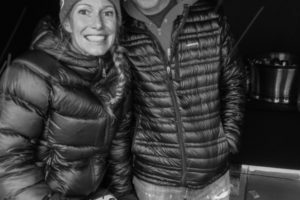 Earlier in the week we fully declared our intentions to pass on this years race if the weather forecast looked too rough, bad weather in Breck (known to some as “Breckenfridge”) is usually colder and windier than anywhere else. Yet even though the forecast showed a sizable winter storm for race day, we still signed up. I guess our inner masochists silenced our sensible sides. The temperature reportedly hit 3F which frostbit one competitors fingers pretty badly, and the winds and wind chill sent several teams into the DNF column on the results sheet. 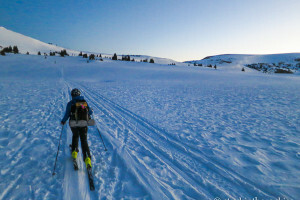 The silver lining was in the 8-10 inches of new snow for the ski descents, and we agreed that of all the races this season, this actually had the best ski conditions. As a team, Christy and I fared well (2nd place Co-ed division), partly because we tend to bring extra gear beyond what’s required and we weren’t set back by the adverse weather. 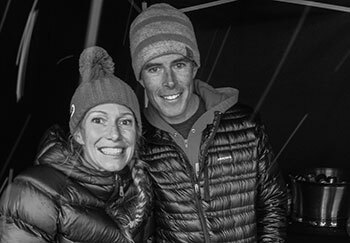 We’ve seen so many “light and fast ” teams suffer in the Grand Traverse when bad weather unexpectedly came in. We always bring extra stuff, even in good conditions. More than five hours after we left the base for Peak Ten, we reached the top of Peak Six climb and began down to the finish. It wasn’t our fastest race compared to the rest of the field, but we loved doing it as a team, and at times actually seemed to like the “full-on” conditions. For a few years now we had unsuccessfully tried to get to this race, so we were happy to finally take part. On that note, it’s great event. 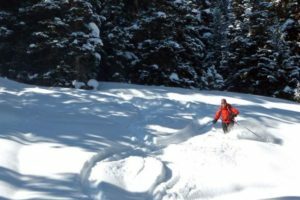 There are two course lengths to choose from with challenging bootpacks and switchbacks that often climb above treeline, and there are some pretty fun ski descents in between. It’s a great showcase of Breckenridge, and Pete and Jeff had an awesome awards/raffle lunch event afterwards. We’d definitely do it again. Hopefully the weather will be better. It probably couldn’t be any worse.